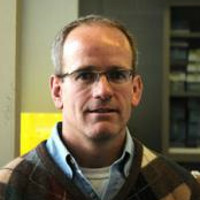 Dr. Niel Karrow’s research interests focus on genetic and epigenetic regulation of the neuroendocrine-immune system of livestock species and how this relates to susceptibility to inflammatory disease. The genetic focus is on identifying and validating genetic markers associated with ruminant stress responsiveness and resistance to mastitis and Johne’s disease. The epigenetic focus is on identifying food components such as omega 3 fatty acids, probiotics and fungal mycotoxins that affect neuroendocrine and immune development.